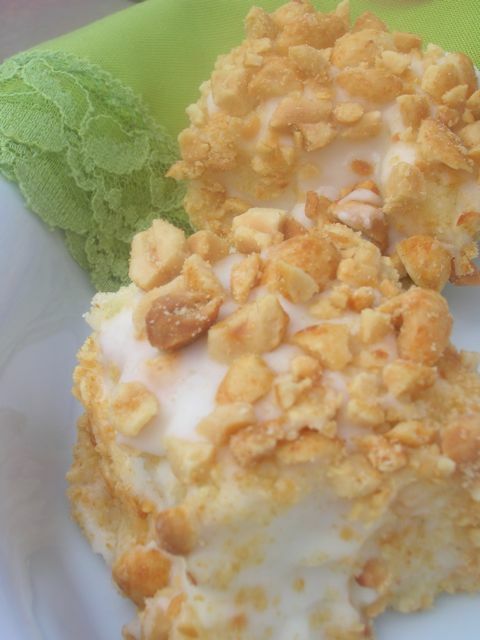 Blarney Stone Cake Recipe for St. Patrick's Day: Frosted Cake Squares Rolled in Salted Peanuts I promised this recipe almost a month ago. Just goes to show, I always keep my promises! (ha--I think what it really shows is how much I've been slacking on the blog front...). 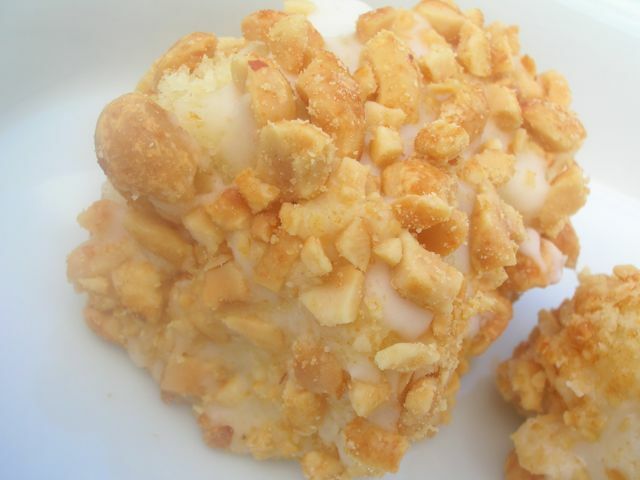 These little, delicious, sweet-and-salty cake squares are a once a year treat around here. Why? They are a liiiiiiittle labor intensive. But, absolutely worth it --don't get me wrong! Saving them for St. Patrick's Day every year makes them even more of a treat. Plus, they are called "Blarney Stones," right? And wouldn't it seem strange to eat "Blarney Stones" on a holiday like....the 4th of July? Just not the kind of Irish festivity called for by these treats. 1. Butter or spray with cooking spray a 9x13 pan. Line bottom with parchment paper for easier removal. Preheat oven to 350 degrees F.
2. Beat the eggs, sugar, and vanilla in a large bowl until lemon colored. 3. In a small bowl, mix together the flour, baking powder, and salt. Add to the egg mixture, beating on low speed until combined. 4. Mix in the milk and butter. 5. Pour batter into prepared pan and bake for 30-35 minutes, or until cake springs back when touched. Remove and cool on a wire rack (let cool in pan 10 minutes, then invert onto rack). 6. When cool, cut into squares (I cut mine into 24 equal squares). Transfer squares to a cookie sheet and place in freezer at least 4 hours or overnight. 7. After cake is frozen, prepare icing. Mix together powdered sugar, milk, vanilla, and salt. 8. 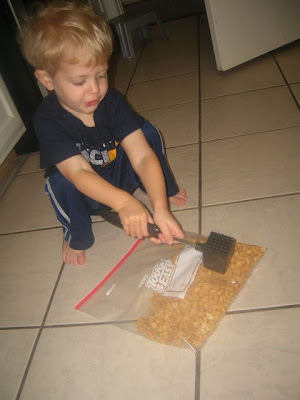 Crush peanuts (we placed in a big plastic bag and crushed with a hammer--see visual below!) Pour crushed peanuts into a shallow dish, like a pie plate. 10. After the icing has set, remove from freezer and store covered. You could also transfer these to a plastic freezer bag and store in the freezer if you don't plan to eat them all at once or want to make them early. They freeze really well! *Note: this makes a LOT of icing. I put the whole recipe on here, but next time I'll probably just eyeball the measurements. Just know you'll probably have a lot leftover if you make the full batch. Also, the original recipe calls for 6 cups of peanuts. We used 3 cups (24 oz.) and had leftover. I remember my mother making these at least 50 years ago. She just called them Peanut Squares. She cut them really small, like Petit Fours. I had a cousin who loved them, and she would make them for him every now and then. Going to try this for St. Patty's Day! Yummmy!